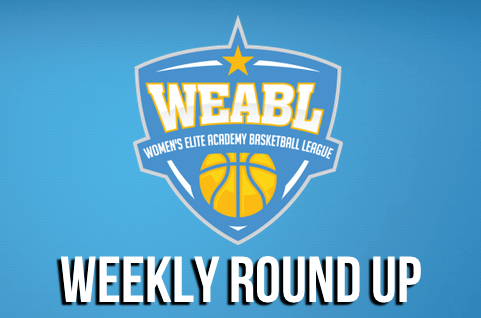 A three-game slate in the WEABL for Week 9 action saw Charnwood & JMA pick up road wins in competitive contests, while Barking Abbey emerged victorious in a lop-sided game against Oaklands. The lone game in the Northern Conference this week saw Sasha Lecuyer pace Myerscough with 14 points in a 41-67 loss to Charnwood. Paula Puzule added 10 points and Celina Eisenhardt had nine for the hosts, who has dropped their second game back-to-back to fall to a 2-2 record on the season. Holly Davies led Charnwood with 10 points, while Ashante Richards and Holly Winterburn combined for 18 for Charnwood, who improve to 4-0 atop the Northern Conference standings. Itchen College played their first official WEABL home game as they hosted Southern Conference rivals John Madejski Academy. The contest saw the visitors walk away with a 52-72 win as they improved their record to 4-1 on the season. Itchen were lead in scoring by Luisa San Juan’s 19 points, as Heather Johnstone added 15. JMA were paced by 15 points apiece from Noa Sanchez Marques and Paula Romero Tarrega, as Anabel Latorre Ciria chipped in 13. Barking Abbey School got back to winning ways with a 94-40 win over Oaklands College, as a strong first quarter set the tone for the game. Barking opened the contest with a 17-1 start behind strong play from Lily Annim who had eight points in the opening period. Oaklands showed good resistance in the second half, but Barking put together a good team performance in the win. Annim led a balanced scoring attack for Barking Abbey with 20 points, supported by 19 points from Loren Christie. Sami Brown led Oaklands with 11 points, joined by Khia Lee and Ellie O’Mahony who chipped in six points apiece.